Virgilius is a complete break-through in the traditional approach to the ESM-ECM system architecture taking all the possible advantages from the state-of-the-art technology, stressing the signal processing techniques and market component availability aspects to deliver a superior integrated product. 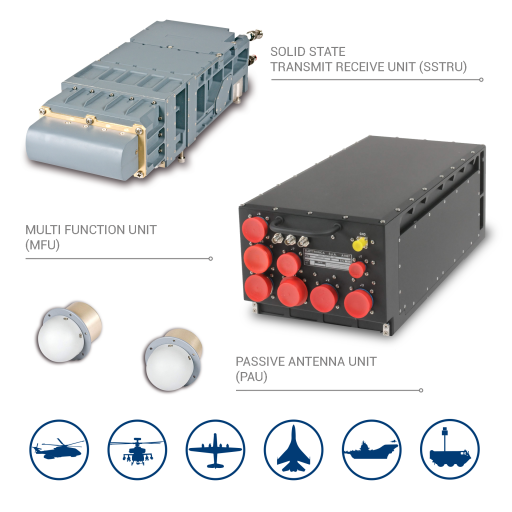 Virgilius is an advanced, fully integrated Electronic Warfare system for Alarm, Surveillance and Countermeasure functionality. It is conceived to perform emitter detection, classification, identification and to counter a large threat variety including: radar controlled Anti-Aircraft Artillery (AAA), Surface-to-Air Missiles (SAM), Air-to-Air Missiles (AAM), Early Warning, Search and modern Multifunction and LPI Radars. Virgilius architecture is suitable for any fixed and rotary wing platform, for naval surface/submarine platforms and for ground based assets. A modular design approach makes it possible to tailor the solution to the specific needs of the Customer/Final User.